Since 2017, Capitol Hill Village has been working with other DC Villages on a range of transportation issues to increase seniors’ mobility, improve roadway safety, and build community members’ awareness and knowledge about transportation options and benefits. Resulting from the partnerships with other Villages were: AARP safe driver classes; a number of Talking Transportation focus groups to document incentives and impediments to transportation, and peer-to-peer connecting, ensuring that community members sharee strategies, borrow ideas, and get connected to learn from one another. Nationally, access to transportation is a top concern of older adults. Villages, including Capitol Hill Village, offer rides provided by volunteers. At the same time, the Villages’ shared goal of promoting independence them to encourage and assist individuals to explore transportation options. 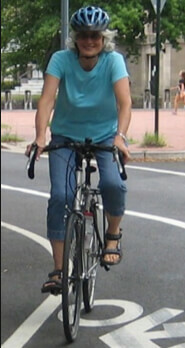 CHV seeks motivate and educate older adults about transportation options that serve their needs, now and in the future. The older adult who actively explores new options and builds a transportation toolkit tailored is best prepared to make choices, whatever the future may bring. Capitol Hill Village is working in partnership with other DC Villages to increase senior mobility and access to transportation information and services. CHV trainings feature transportation professionals and enhance seniors’ problem-solving skills, including digital access to resources. CHV also hosted AARP safe driver classes that improve awareness of safe driving practices and help seniors embrace driving as one of many ways to meet transportation needs. CHV education also focus on pedestrian safety, since walking is key to senior mobility and good health.